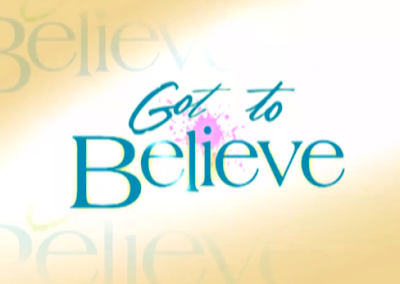 "The management of ABS-CBN is just as excited as the viewing public for the airing of 'Got To Believe.' There is no truth to speculations that the airing was postponed because management was disappointed with the program. In fact, the TV series starring Daniel Padilla and Kathryn Bernado thrilled and impressed the management. In as much as management wants to air it, it has decided to postpone the airing until enough episodes are canned. ABS-CBN firmly believes that "Got To Believe" will offer a new experience to TV viewers and looks forward to airing it soon." The show was scheduled to premiere on July 15, 2013. Although the airing has been delayed, no new airing date has been announced as of the writing of this article. Directed by Cathy Garcia-Molina, Got to Believe stars Daniel Padilla, Kathryn Bernardo, Manilyn Reynes, Kyle Banzon, Bianca Bentulan, Ian Veneracion, Carmina Villaroel, and Benjie Paras. A trailer has already been released for the series. According to the statement by Osorio, they will need to have more episodes canned before they start airing the new show.